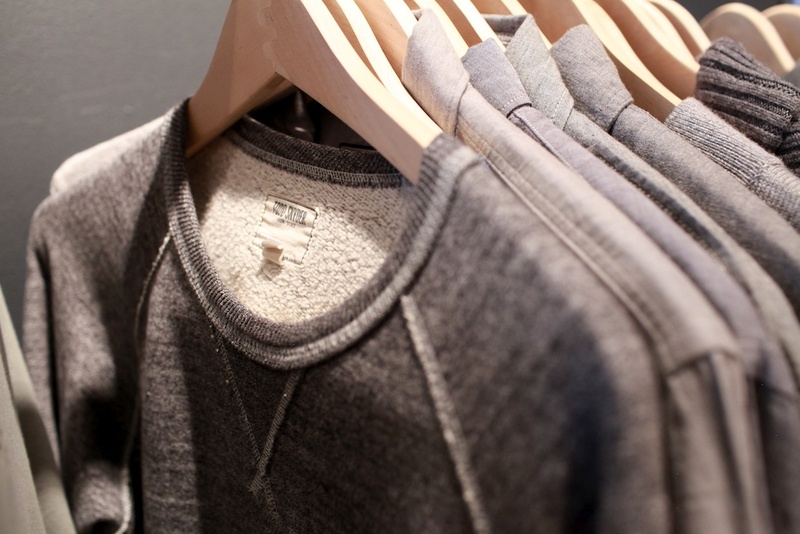 Bona Fide | Todd Snyder AW12 | A Continuous Lean. 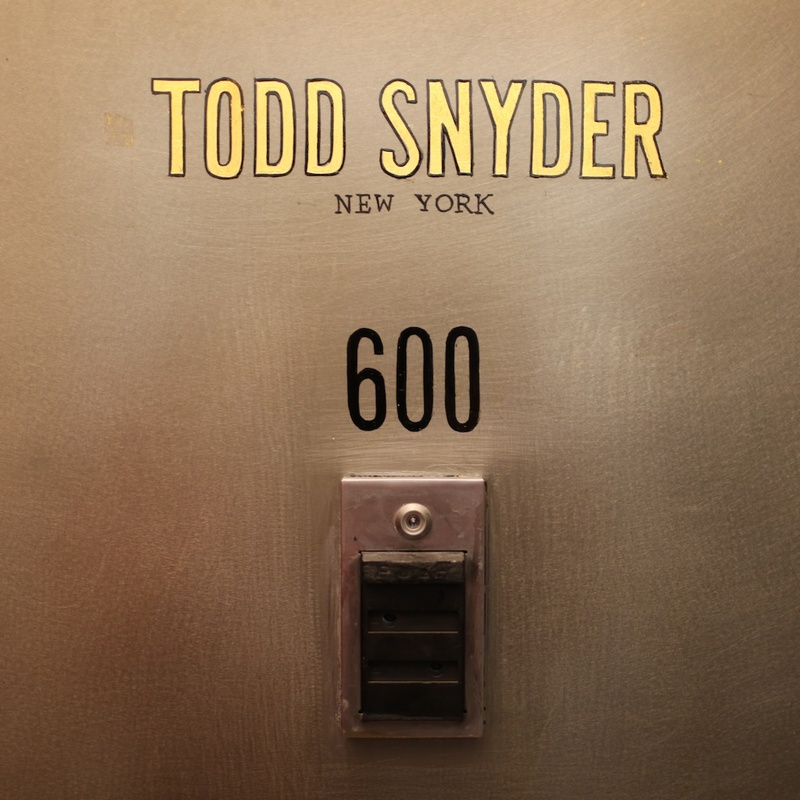 Todd Snyder is an easy person to like. Being from Iowa, he’s got that grounded middle America perspective on life. Generally friendly and easy going, with a good sense of humor. Nearly twenty years ago Todd took the plunge and moved to New York to indulge his ambition to work in the clothing business. Along the way he’s proven himself at some distinctly American brands, most notedly Ralph Lauren and then J.Crew. 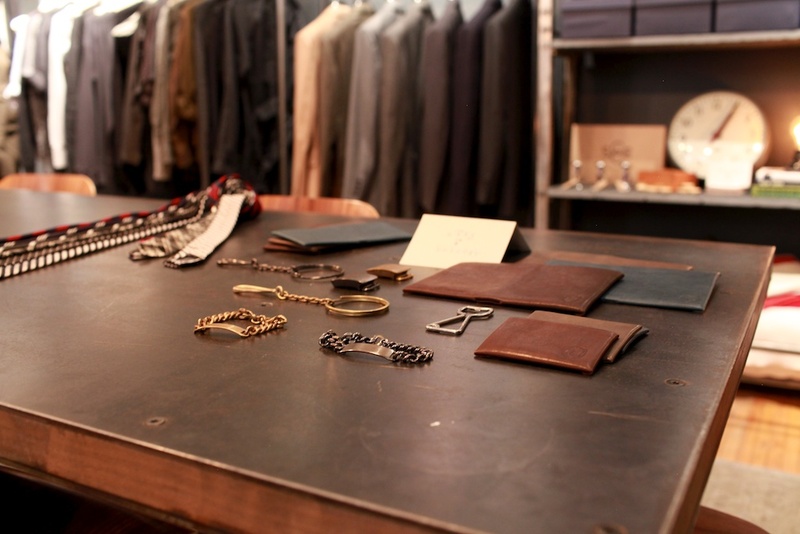 Then three seasons ago he launched his eponymous line to much esteem from buyers, press and consumers. After stopping by his studio this week, I can say with certainty that things are even going to get better. 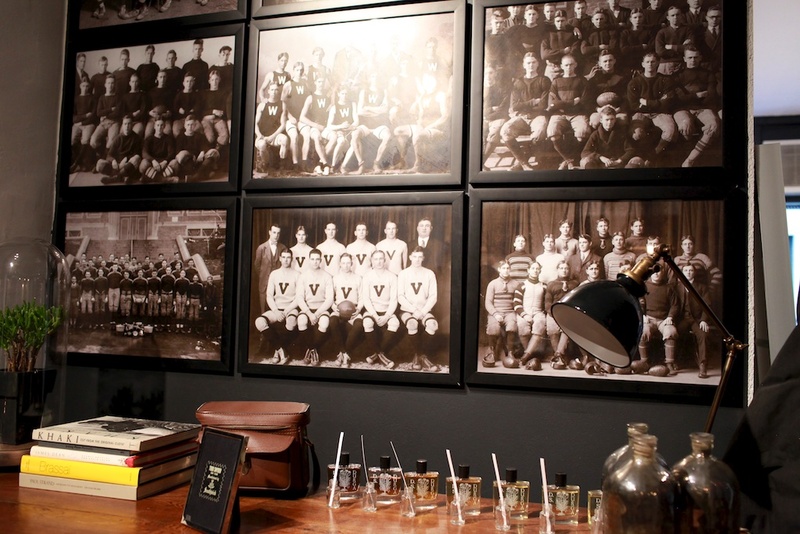 The collection is very much representative of who Todd is as a person: smart and unpretentious. The line mixes military and vintage in a way that is modern, relevant and fresh. 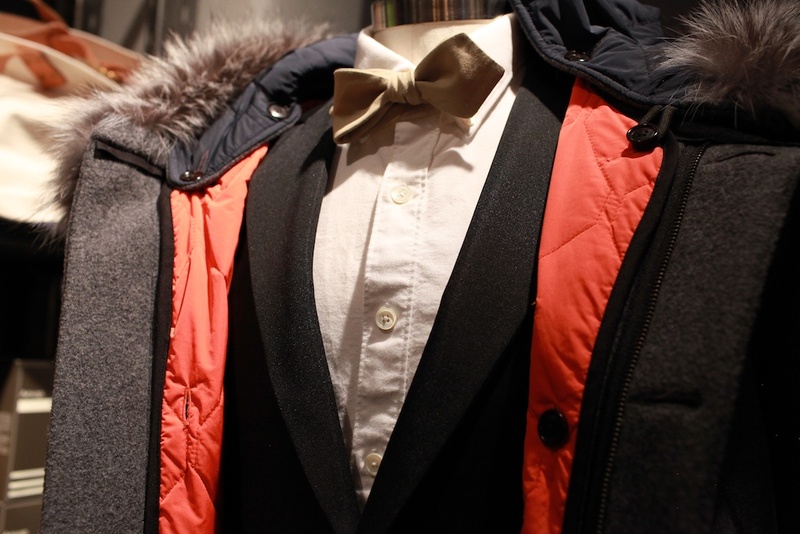 The collection includes everything from knits to tuxedos (pictured below underneath a very handsom winter parka), with the standout element being the range of Southwick-made tailored clothing. 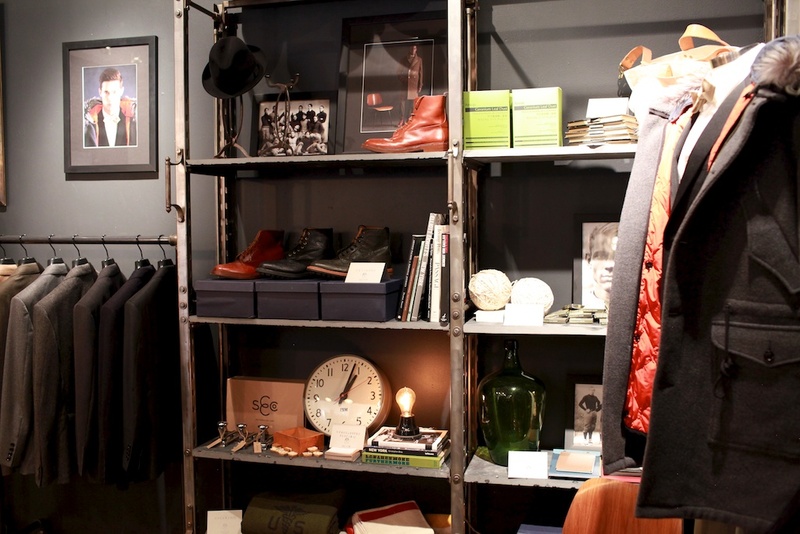 The showroom is an inviting space that, in addition to showcasing the Todd Snyder collection, is filled with a bunch of items that compliment the clothing. This includes shoes from Tricker’s, objects from ACL fav Schoolhouse Electric, accessories from Maxx & Unicorn, blankets from Minnesota’s Faribault Woolen Mills and a selection of really nice hats from Bates. 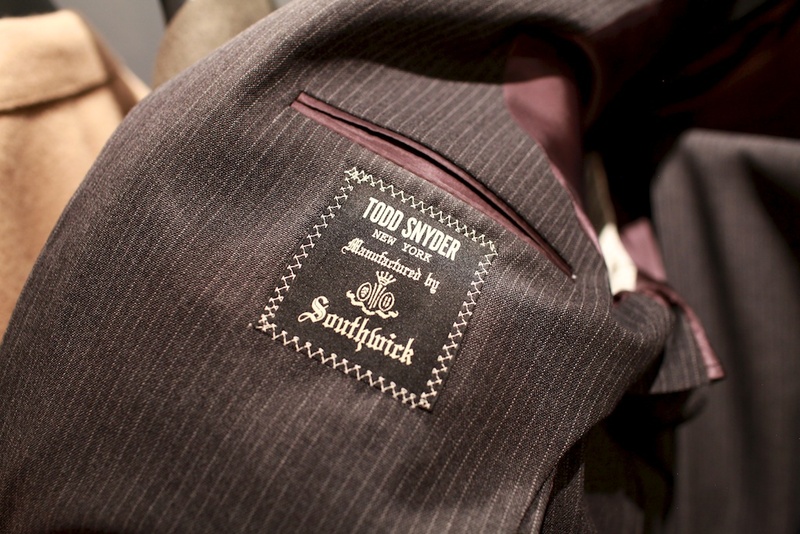 These other brand items, many of which are made special for Todd Snyder, are wholesaled alongside everything else to complement the regular collection. 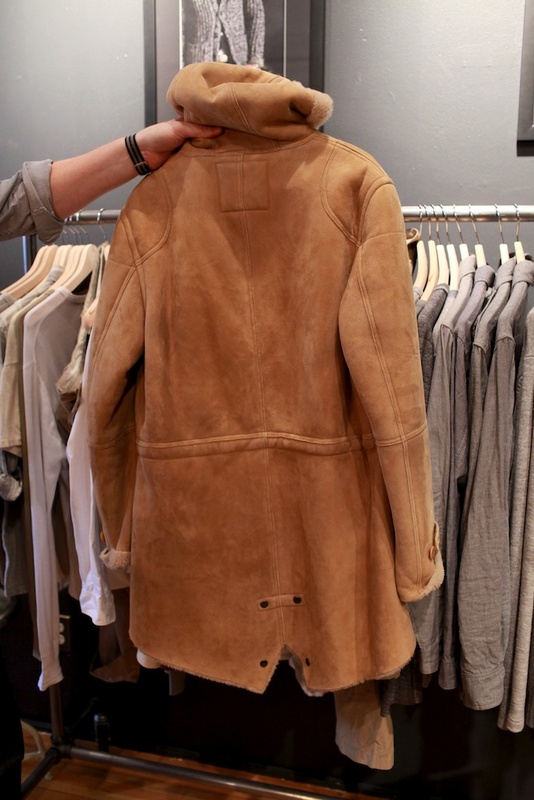 The line does a good job of updating staple clothing to incorporate good fabrics and plays around with classic shapes (note the fishtail shearling below). 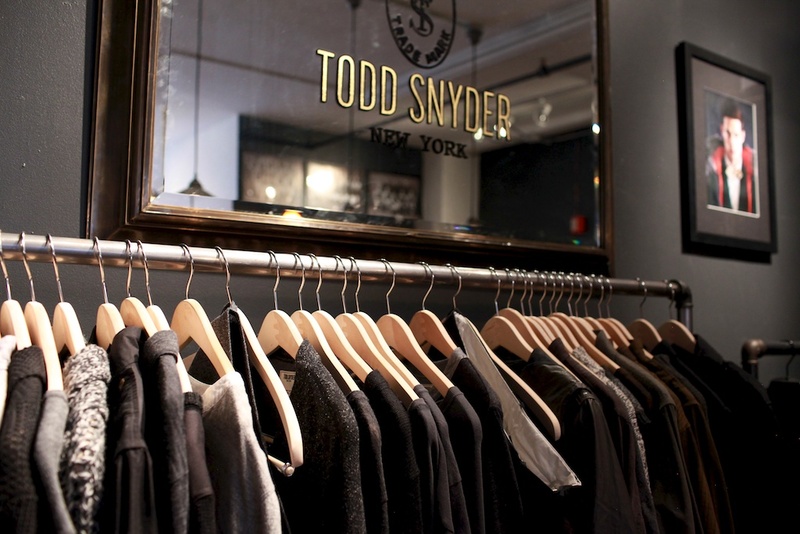 To me, the Todd Snyder collection is real clothes for real guys, pure and simple. Todd found this Southwick label in the company's archive and helped to resurrect it. 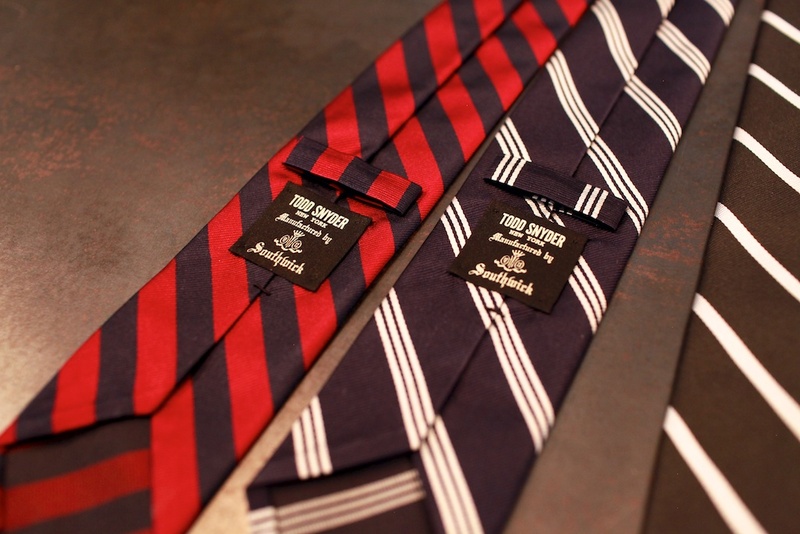 Made in USA ties from Southwick. 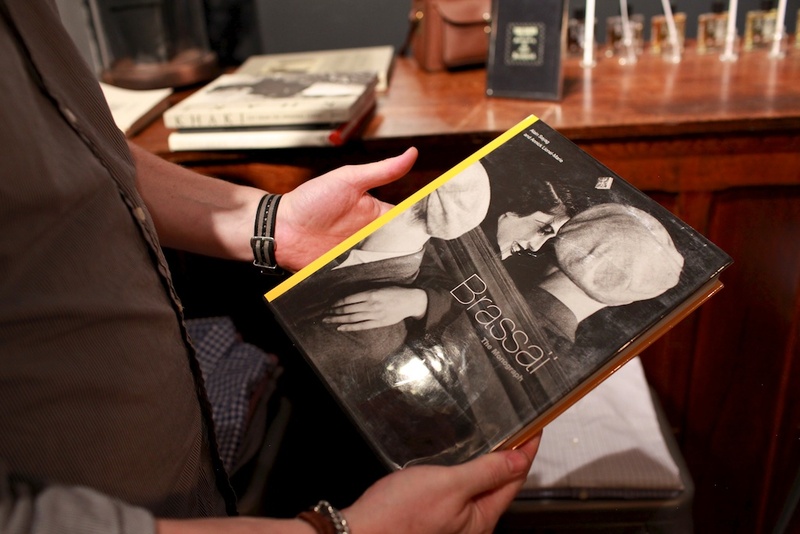 The AW12 collection took inspiration from these images by Brassai. 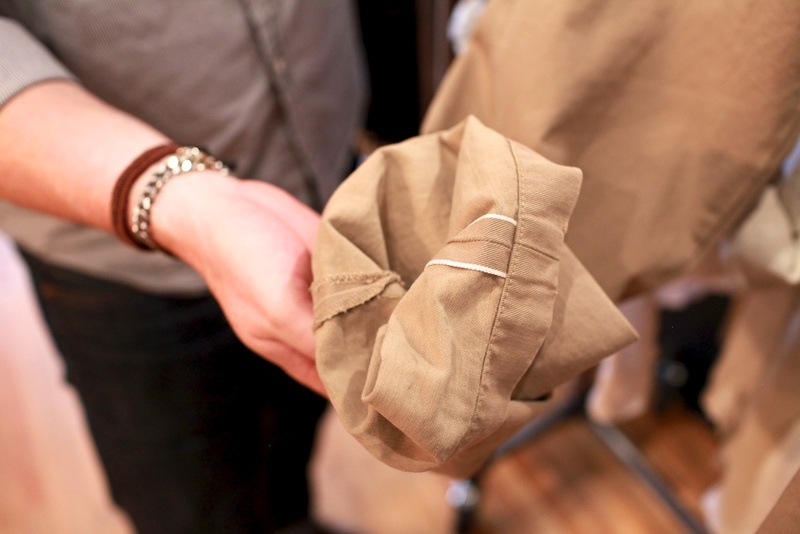 Not mad at this selvage khaki. Your opening lines are right on. Nice post. 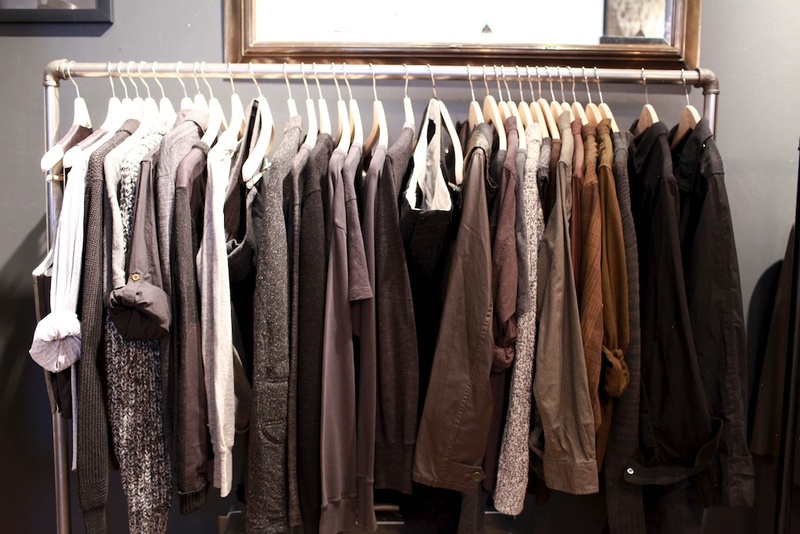 I’m sure it’s all well made, but I can live without a collection that’s (almost) entirely greige. 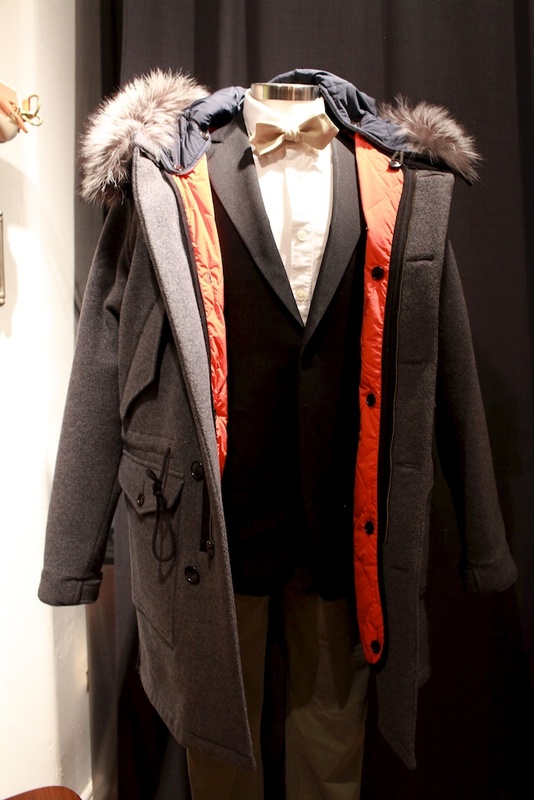 Styling clothes, but those hands showing product..awesome! I like it. There are some great looking pieces. 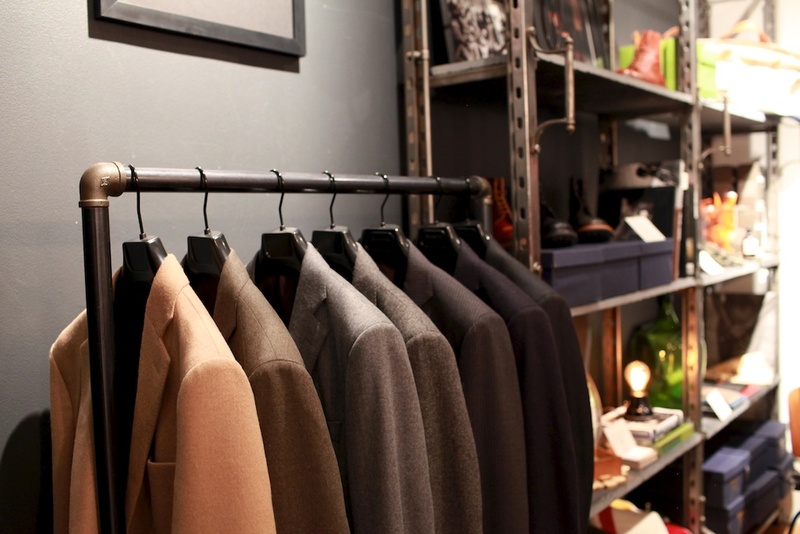 Is the Showroom open to public? I started wearing Southwick (and Norman Hilton) in the late 60s and have always like their goods…at least until the last batch I bought at the factory store in Mass. Those items were OK, but nowhere near the old stuff. 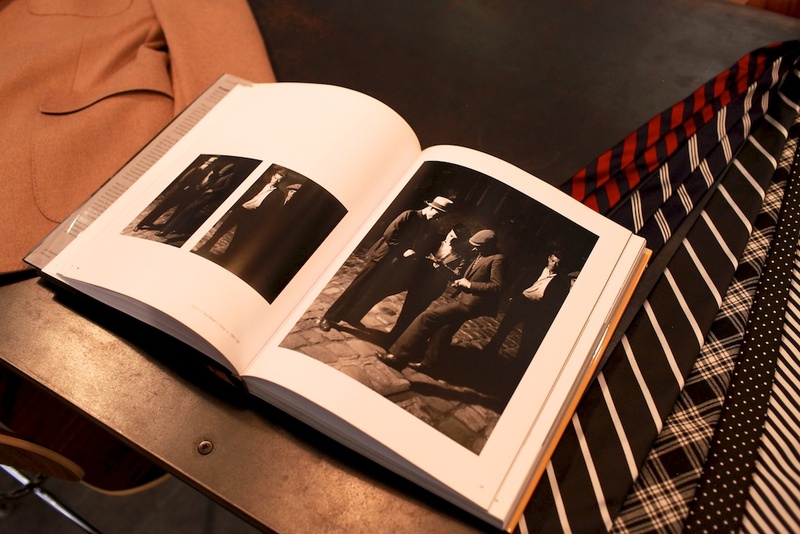 Now that Brooks Bros has bought them, and their Italian owners pledged to upscale Brooks’ goods, I have hopes for both. As for this collection, I feel right at home with my 60s prep mentality. Michael, did they make any raw selvege denim this season? I saw some at the Pop Up Flea but decided not to get them. I have not seen them since, but wanted to get a pair. where can you buy his collection at in NYC? 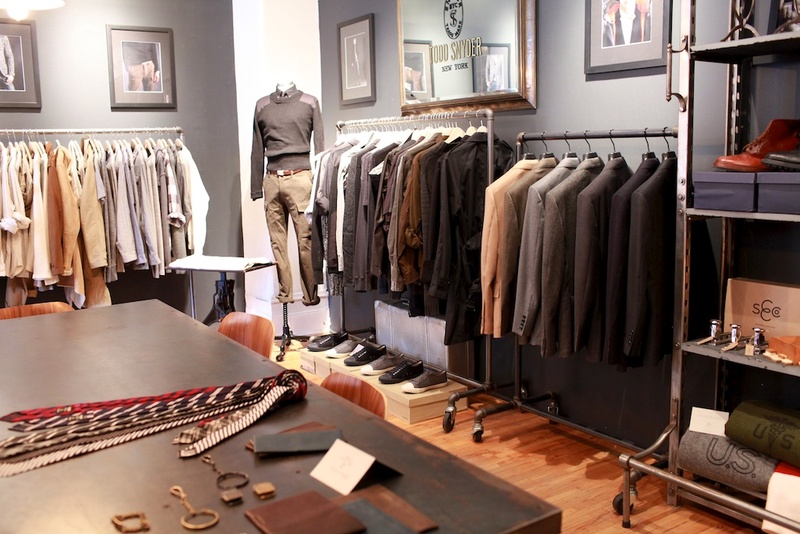 This line looks great, and the showroom looks inviting, relaxed, and on brand. I’d cut into the Aether popup airstream pretty hard a few months back for biting american work style to sell outerwear, but this brand real weaves it into their styling seamlessly. What makes this feel different for me is that the brand style conveys a sense of place and ease that feels authentic. glad to see things made in the USA. 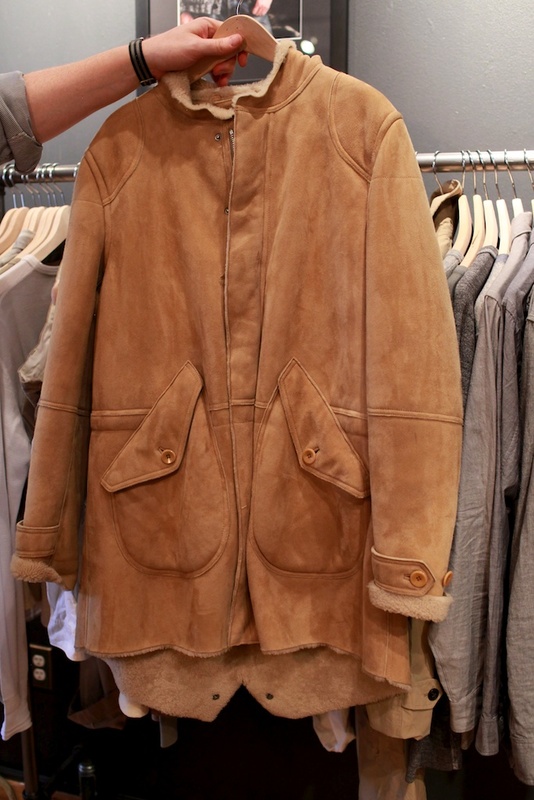 Whew, that camel jacket with grey lining, damn! It’s a good thing, a great thing, to see a revival in all manner of old brands, getting a young shot of testosterone and creativity. American men’s clothing was practically dead five years ago, killed by copycat mass cheapness exemplified by one company whose first name is a popular South American fruit. 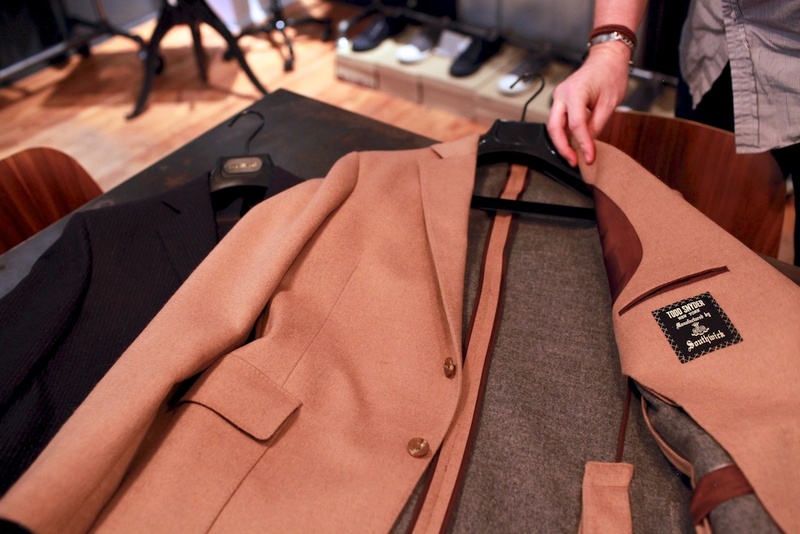 How many designers have passed through Ralph Lauren before graduating to their own labels? They once said (unfairly) that RL stole from Brooks Brothers and WASP culture and Hollywood movies, but how many now can thank RL for their own success? i wonder who invests in lines like this? i would be so worried that it will get lost in the shuffle of all the current american heritage trend brands. i just don’t see what makes this line different from insert other current heritage line? i guess you can count on a straight guy from the midwest to regurgitate more boring mens wear to the market. Great images. Love that he was inspired by Brassai, too. So now we have a slam against straight people and those from the middle-west? Critique his clothes not him. SNYDERS COOL, BRICE IS MY COUSIN, IOWA, GOOD DUDES EVEN THOUGH I DON’T WEAR THE STUFF…BUT RESPECT IT.